While thousands of music lovers came in for India’ only gourmet music festival – SulaFest, LF’s presence with its unique brand visibility and consumer engagement activities was extremely well received. The 12th edition of SulaFest in the rolling hill of Nashik had the innovative LF LED tunnel. The 30 feet long tunnel was called ‘LivFinity’. It was designed using only LED screens which showcased videos that depicted everything that LF stands for starting right from ‘Love Food’, having a ‘Luxury Fetish’, to ‘Live Free’ moments and more that made people throng to it to take their images using the screens as a backdrop. LF got a prodigious response from the visitors for the entire two days duration of the fest. 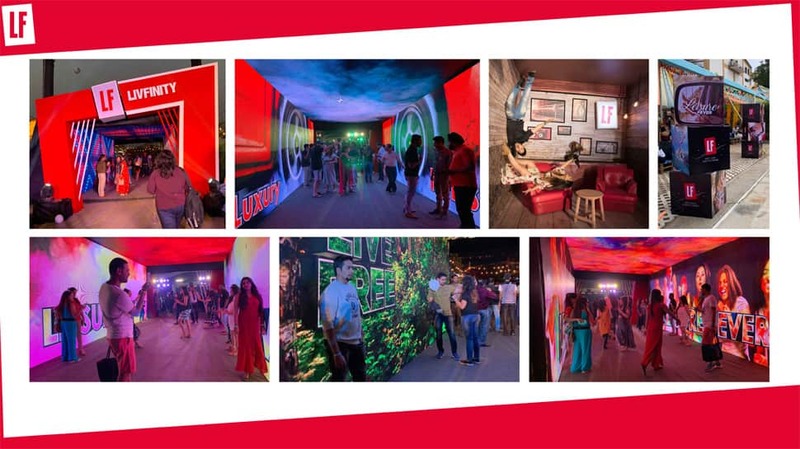 Right from LivFinity to the LIVE Twitter wall, the channel showcased one of the most innovative displays and engagement activities that were in sync with the vibe of SulaFest! ‘As an environmentally conscious brand’, LF even had branded non-plastic straws. The concept of the non-plastic straws had a sustainability angle to it and was in tune with Sula Vineyards’ support towards sustainability as well. Another particularly engaging concept was the ‘LF Anti-Gravity Booth’. As the name suggests it was a thrilling experience as fest-goers made their way to take images at the booth.